Introducing… NARS Sephora Exclusives Sculpting Multiple Duo and Hardwired Eyeshadow Collection. NARS introduces the Sculpting Multiple Duo for Fall 2016. 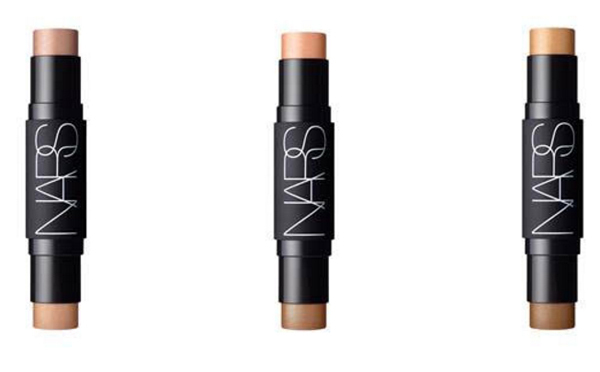 NARS’ iconic multi- tasker works two places at once. The darker shades blend effortlessly to create a contour enhancing the face’s natural features, while the illuminating shades provide a sheer color that illuminates the high points of the face. Both double up on eyes, lips, and cheeks. Portable. Buildable. For Fall 2016, NARS Cosmetics introduces the limited-edition Hardwired Eyeshadow Collection—a rich and radiant lineup of six precious metals. A rare combination of high-pigment with high-shine, ultrafine blends of shimmer, glitter, and pearl reflect light for eye-catching effects. Glides on smoothly and evenly. Layers and intensifies. Lasts through the night.